Coming in as one of the club’s marquee signings last summer, Nemanja Matic had a stellar debut season at Manchester United. Bought to help support Paul Pogba defensively, the central midfielder started from the get go, and never relinquished his spot in the starting lineup. Stealing him from rivals Chelsea for a cut-rate fee made United fans especially happy about his signing, and hopes were high that he could be the man to balance out the Man U midfield. However, it’s been a different story this year, and his performance in the Manchester Derby should be the last time he features for an extended period of time. He started the campaign a bit later than everyone else since he was gifted an extended vacation after representing Serbia at the 2018 World Cup. Matic returned to the side in the third week of the season when United faced Spurs at home, but only lasted an hour before being subbed out after the Red Devils shipped two goals in quick succession. He kept his usual spot in the starting XI until getting sent off late against Watford and having to serve a one match suspension. Matic has featured consistently since then, but hasn’t looked nearly as good as he did around this time last season. The Manchester Derby on Sunday was his worst performance yet. Having to go against one of the best midfields in Europe was always going to be tough, and the task was made even harder when Paul Pogba was forced to miss out through injury. United needed Matic to lead by example if they wanted to have any chance, but the Serbian let the side down. He was slow, got caught in possession, and provided zero aerial threat against a shorter and weaker opposition. It all hit rock bottom on City’s third goal of the game, when Bernardo Silva got the ball out wide and whipped in a cross into the area. Ilkay Gundogan made a late run into the box, and Victor Lindelof pointed him out to Matic. However, the Serbian didn’t seemed to be bothered in the slightest, and failed to pick up his marker. Gundogan was wide open as a result, brought the ball down with ease, and finished the move off to put the game to bed. It was lazy and careless from Matic, who should’ve been a leader on the pitch for United. His lack of speed has been his biggest weakness as of late, and Matic is really starting to get exposed because of it. With the speed at which the game is played nowadays, the ball is usually flying up and down the pitch. Central midfielders need to be especially quick on their feet, with N’golo Kante being the best example in what is now required of a defensive mid. 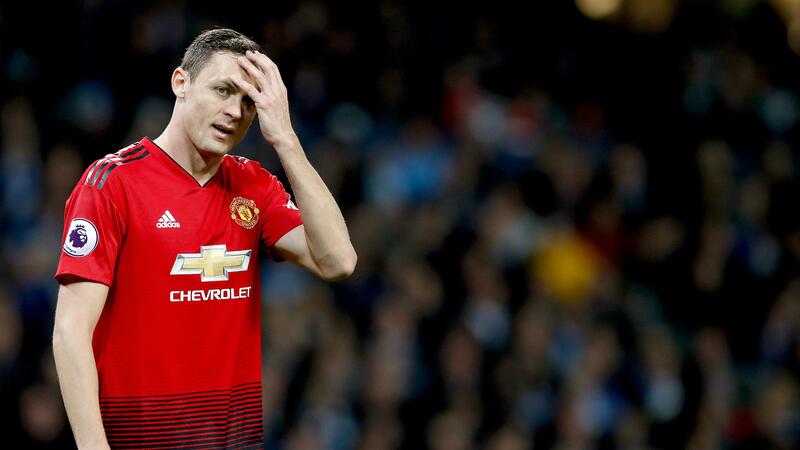 Matic simply can’t get in the right position on time anymore, and it’s causing problems for a United backline that already has enough to deal with. He is a defensive midfielder, but that doesn’t mean he should be useless going forward. Matic had developed a decent enough knack for scoring goals in his career, either heading home from set pieces or smashing shots into the net from a distance. He even grabbed the United goal of the season with his last minute volley against Crystal Palace the year before. That part of his game has been absent so far this year, unfortunately, as he is yet to register a goal or assist. Matic does play closer to his own goal than the oppositions, but plenty of other deep lying center midfielders are able to get on the stat sheet in some sort of fashion. It’s not like Matic is the only man for the job at the moment either. United may have depth issues elsewhere on the pitch, but there are a number of players Mourinho can turn to replace him in the center of midfield. The most obvious replacement would be Fred, who as failed to cement his spot in the starting lineup since coming in for 50 million pounds in the summer. The Brazilian brings so much energy to the team, and he can simply move up and down the pitch easier than Matic. Ander Herrera is another option, as the Spaniard has delivered whenever called upon in a defensive role for the past few years now. Many fans have clamored for Andreas Pereira to return to the team. The 22 year old impressed when given the chance earlier in the season, but hasn’t seen nearly enough time on the field in recent weeks. Hell, even Marouane Fellaini has been better as of late, which is really saying something. It’ll be hard for Mourinho to drop him as Matic has been a favorite of his for a long time. He brought the Serbian back to Chelsea in January of 2014, and the pair went on to win the Premier League. They reunited last year in Manchester, and Matic has been a key player for Mourinho since. However, even he must realize the player needs to be benched. The Portuguese manager is on thin ice, and cannot afford to slip up for much longer. He needs to put the best team out there on the pitch, and at the moment, that no longer includes Matic.